According to Medford dentist, Invisalign technology has advanced over the years and is now a top choice for many patients due to the consistent results provided by this system. To begin, the patient meets with an Invisalign-trained dentist or orthodontist. During treatment, a computer model of the patient’s teeth is created from the impressions, and you will receive these transparent, clear plastic form of braces called Invisalign. Invisalign aligners grab directly over your teeth, making them impossible to see when you speak, smile or open your mouth. Invisalign can gently and gradually shift the position of teeth into the desired location. You will change to a new set of aligners after every two weeks to continue your treatment until your teeth move from their current position to their desired position. Week by week, the patient’s teeth are straightened millimeter by millimeter. Like traditional braces, the time of treatment plan will vary from person to person and also depends on the individual’s need, the structure of teeth and complexity of the case. The treatment plan is normally about the same as conventional braces – about 9 to 15 months. It depends on a patient’s situation, but some patients come to see the orthodontist every two weeks and some go in every eight or ten weeks, depending on the complexity of the case. In general, to track your progress and ensure the treatment is going according to plan, you should go to visit about once a month. Depending on your individual circumstances, the orthodontist may decide that you have to go in every six to eight weeks. Generally, the cost of Invisalign depends on how much treatment you need and how much time your case will take. Generally, Invisalign costs between $4,000 and $7000, including retainers and two years of post-treatment follow-ups. Generally, Invisalign does not have any effect on speech. In most cases, individuals talk the similar way they generally have and do not feel any big difference when putting in their Invisalign aligners. 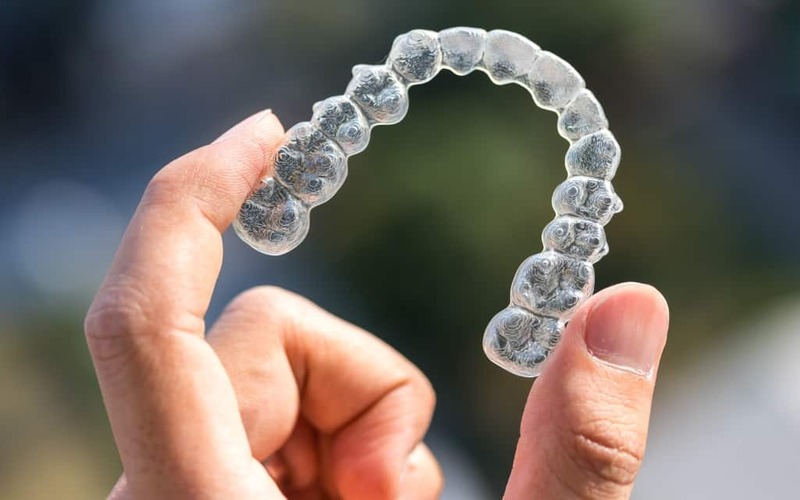 During the initial few days of wearing Invisalign, you will need to get used to them and may experience increased saliva production in your mouth since the mouth might mistake the aligners for food. Following a couple of days, your mouth will change in accordance with the aligners; and afterward, you should have no issue talking. Invisalign only works while you’re wearing the aligners. It’s suggested that individuals can wear aligners any time, day and night, except while eating, brushing, and flossing your teeth. Invisalign aligners are altogether more convenient than traditional metal braces. With the help of Invisalign, there is no need to worry about broken brackets or wires stabbing and jabbing into your gums. Nor is there a need to be anxious about other painful additions, like rubber bands or additional brackets or wires. Is it difficult to brush my teeth with Invisalign? With Invisalign, there is no compelling reason to change your brushing or flossing routine like you would if you had metal braces. When you eat, just remove your aligners, and brush and floss your teeth as you ordinarily would.